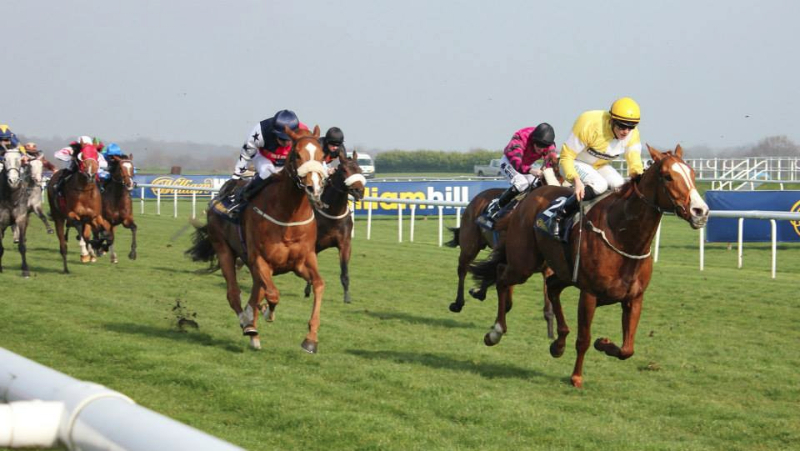 The Ontoawinner Team sent raiding parties to Ripon and Haydock Saturday on a busy day for racing, with fantastic prizemoney on offer across the Saturday flat cards. Fast Shot went to Ripon for a rematch of Pontefract with several nice sprinters for their £25,000 6f race and Yourartisonfire went to Haydock for the £50,000 corbettsports.com Handicap. Fast Shot looked fantastic before the race and Ontoawinner’s Alan Davies told AtTheRaces cameras what he thought would happen, putting punters right on the tactics and how the race would unfold. Alan called it spot on, with the field splitting in two with Fast Shot settled in for a late surge. 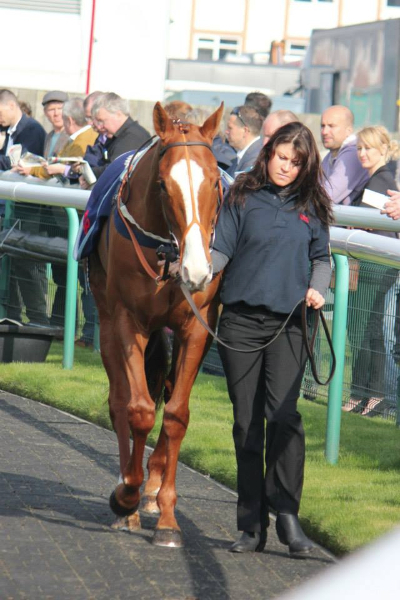 Rachel Richardson again took 7lb off the improving sprinter, purchase for £6000 by Niall & Simon as a 3-y-0 rated 61. Rachel tucked Fast Shot in behind the early fast pace on the far side and always knew what she had. 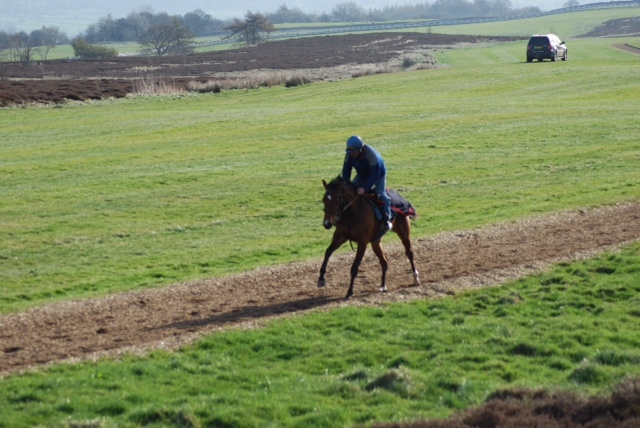 He was again travelling sweetly and Rachel moved him out for a challenge a furlong out and cool hands Richardson was always going to get there. This was Rachel’s 7th career win and trainers need to sit up and take note, she is a talented quiet rider with soft hands and a steely nerve. It’s back to back wins for Fast Shot and Richardson. The handicapper will again reassess and trips to York and back to Ripon for the Great St. Wilfred now await the improving flagship sprinter. 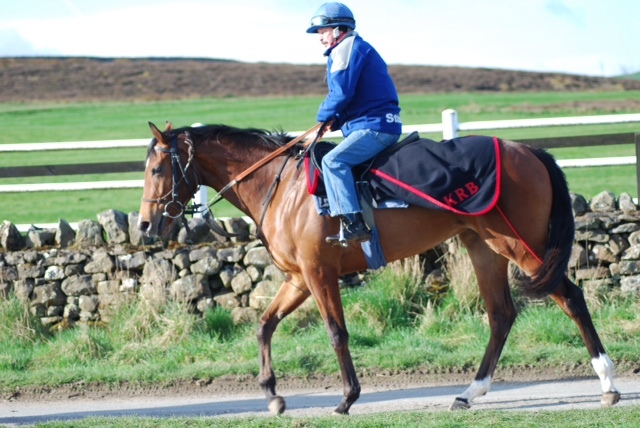 His grand dam won an Ayr Gold Cup………..he couldn’t, could he? 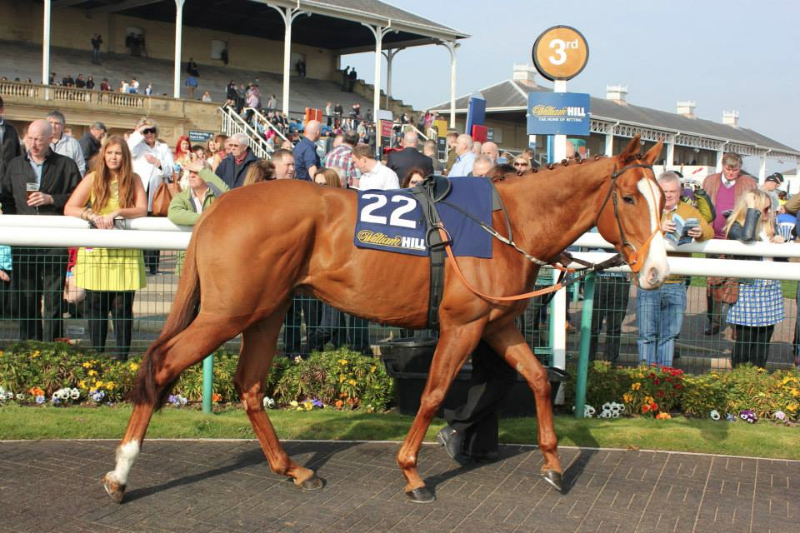 Yourartisonfire came out of his Doncaster race really well and Simon and Karl picked out the valuable Haydock prize for him to aim at. We knew it would be touch and go whether he would make the cut for this race or not. He was declared and was last to get in. The plan started coming together when it was agreed Joey Haynes would take off 5lb, leaving our big strong horse wondering was anyone on board at all. 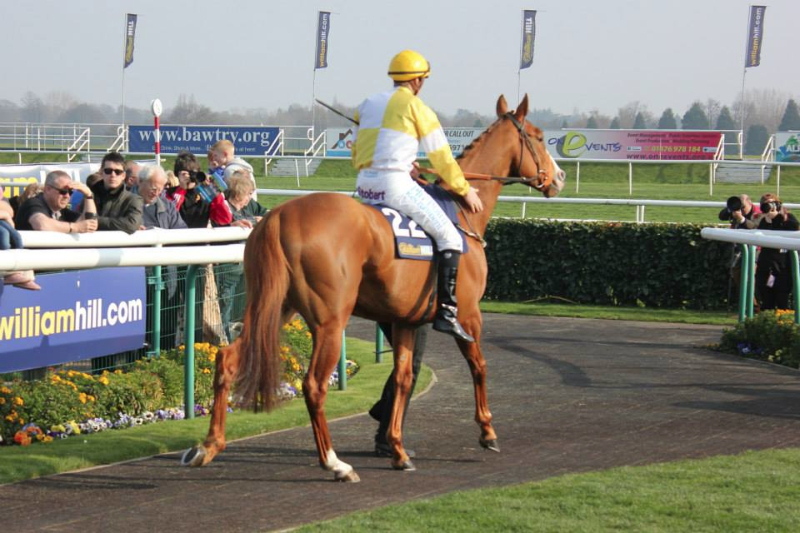 With 7st 12lb on his back and overnight rain, the signs looked good, and the Ontoawinner owners took note. He was sent off a well backed 7/1 third favourite. 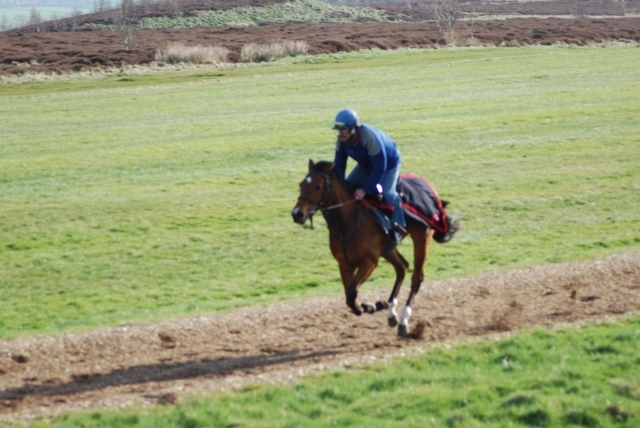 Joey got him settled well after an ordinary break. Joey took closer order around the bend and soon had Yourartisonfire, named by Colleen Rooney, in a prominent position travelling strongly wide of the leaders. Joey and Yourartisonfire continued to ooze confidence down the home straight and delivered a crucial and decisive strike inside the furlong marker, putting enough daylight between himself and Spencer on the favourite, to put the well regarded hot pot to the sword. Yourartisonfire always threatened to win a big race and duly delivered the fantastic purse for his owners. It was a brilliant across the card double for Ontoawinner, recording their 10th winner of the Year, with the season in its infancy. All credit to the lads who can buy a nice horse for little money. 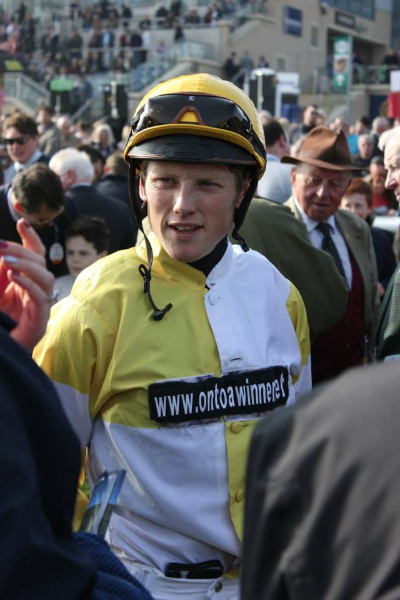 Anyone wishing to talk about getting involved in ownership or moving over to Ontoawinner should speak to Simon, Chris or Niall about your requirements. 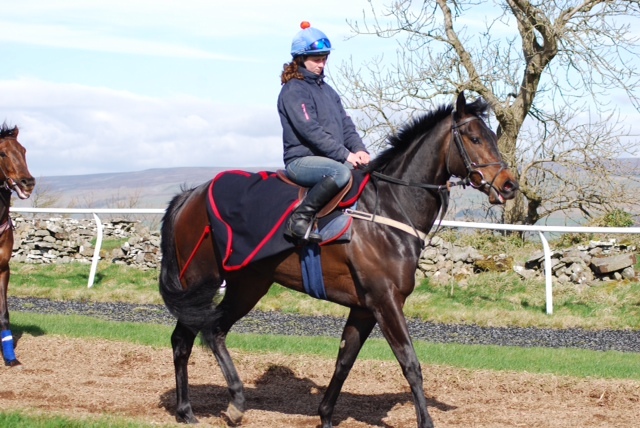 Anyone wanting to come racing and have a bit of craic for little money, but get winners of coarse, should speak to Steve or Andy regarding the Arc syndicate, who are about to add two more horses to that syndicate, making it an EIGHT horse syndicate. Well done all, keep going and enjoy. Fast Shot got the week off to a flying start in the six furlong 0-100 handicap with Rachel Richardson doing a fine job in the saddle. It was well documented that putting Rachel up to ride was an experiment to see whether horse and jockey clicked in this ultra competitive handicap. And the fact Rachel could take seven pounds off the horse’s back ultimately proved invaluable. Fast Shot broke well from stall three and Rachel allowed the horse to sit in fourth place tracking the very fast early pace. The horse was travelling very nicely and appeared to be really enjoying himself. Rachel kept her cool on the inside and remained there as the leaders, still setting the pace, turned into the home straight. 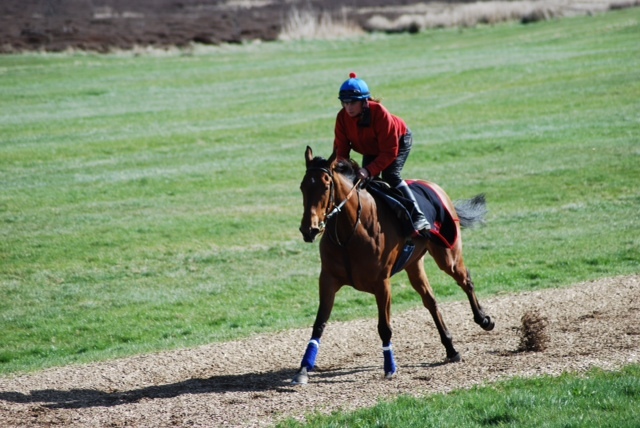 As the field approached the final furlong Rachel begun to shake the reigns at Fast Shot and asked him to make a move. Just as she did so a gap appeared and Fast Shot did not need an invitation and shot through the gap. Rachel was pushing and shoving as Fast Shot took the lead but was immediately attacked on his outer by another fast finishing horse as the pace makers dropped away. Rachel kept Fast Shot up to his work without having to resort to the whip and Fast Shot stuck his neck out and wouldn’t be denied in a driving finish. Rachel was obviously delighted riding her biggest win to date and don’t you love it when an experiment comes off. 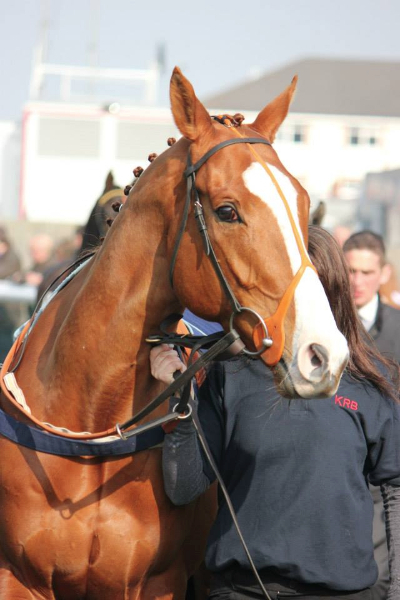 Well done to all his owners for taking and supporting the risk and landing very good prize money. 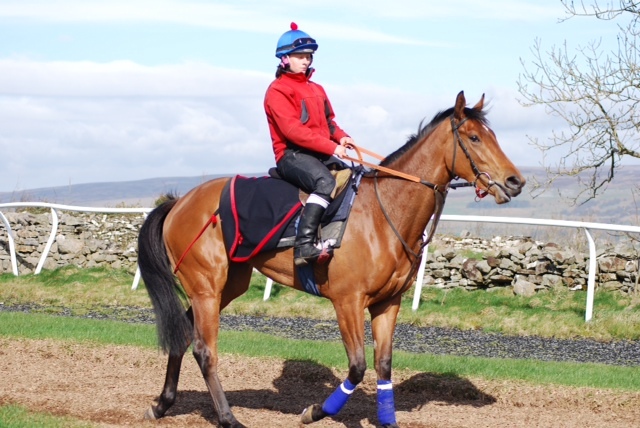 Mitchells Way went to Carlisle on Saturday in the two mile four furlong novice chase with Alain Cawley taking the ride. Mitchells Way had to carry ten pounds more than anything else in the race due to his wins earlier in the season. The ground had dried up dramatically and the course called the going good/firm. Mitchells Way jumped off at the rear of the field and throughout the first part of the race was always at least ten lengths off the early leader. Mitchells Way’s cause wasn’t helped by some less than accurate jumping and lost ground at a few of the early fences. Going out onto the final circuit Alain was already niggling away at Mitchells to try and get the horse closer to the good pace that was being set by the leader. Down the far side Mitchells again made a couple of errors and was still a good ten lengths behind the leader as they turned to face the climb for home with the final four fences in sight. To his great credit Mitchells and the second horse begun to close on the leader but a mistake three fences from home again cost him a couple of lengths and momentum. Mitchell’s then begun to rally as they approached the final fence and was only three lengths behind the new leader. With great determination Mitchells kept galloping and closed but it just wasn’t enough and he went down by a little over a length. Unsaddling Alain said the horse was never travelling on the fast ground and made several mistakes. He said the horse tried all the way to the line but the mistakes just took their toll on his finishing effort. 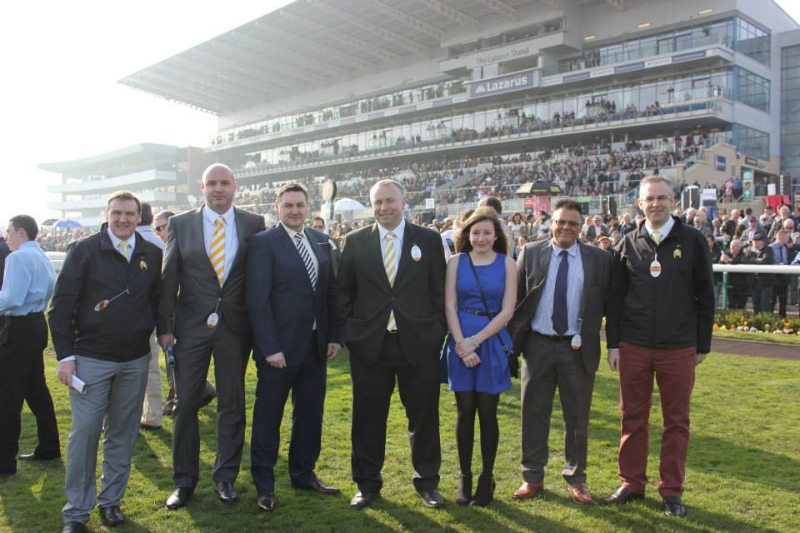 Join the ARC Syndicate by the end of April quoting ‘Spring Special’, and you’ll receive a FREE Ontoawinner tie to look and feel extra special on raceday in the paddock and Winners enclosure! 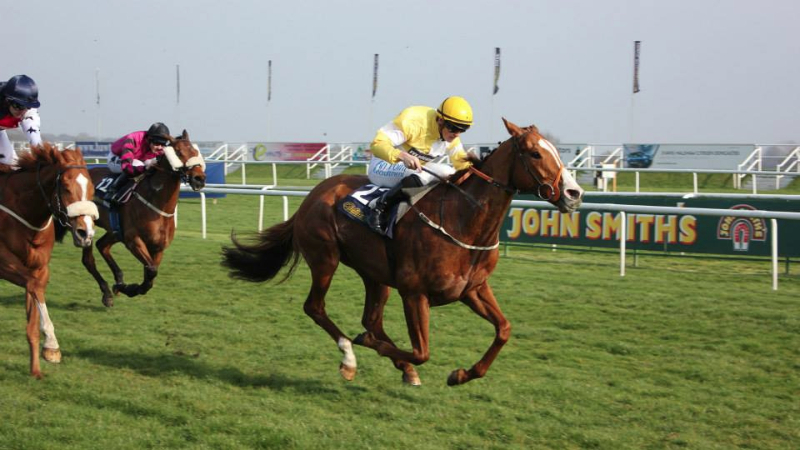 If you are already a member or Owner with Ontoawinner, introduce a friend to Ontoawinner and when they join one of our syndicates or the Arc syndicate in April, you’ll receive a FREE tie! Don’t want a tie ladies? Fair enough…………….sign up in April and we’ll buy you a bottle of champagne on raceday instead! 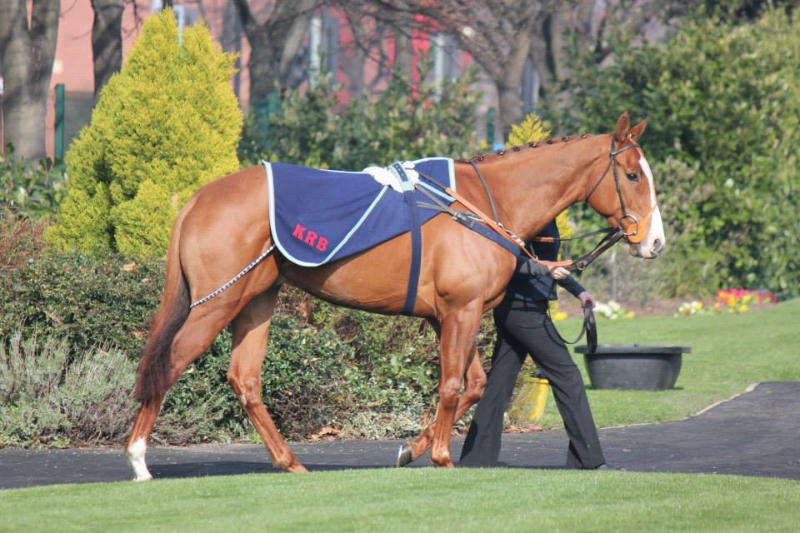 ARC HORSES – ALL WINNERS – six horses to go racing with in 2014 for £25 per month! DODINA – B Ellison – WINNER LAST TIME OUT! 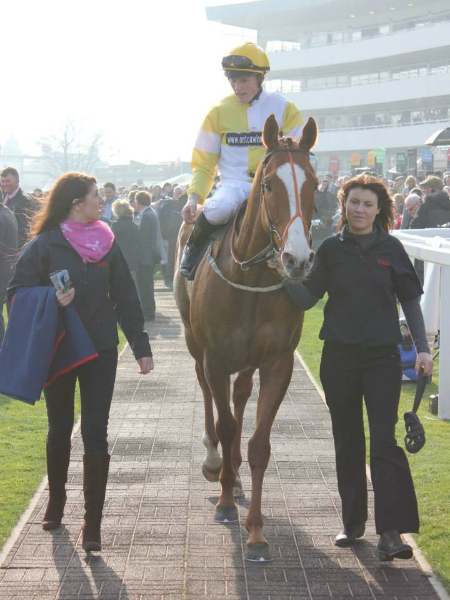 VODKA RED – R Johnson – WINNER LAST TIME OUT! 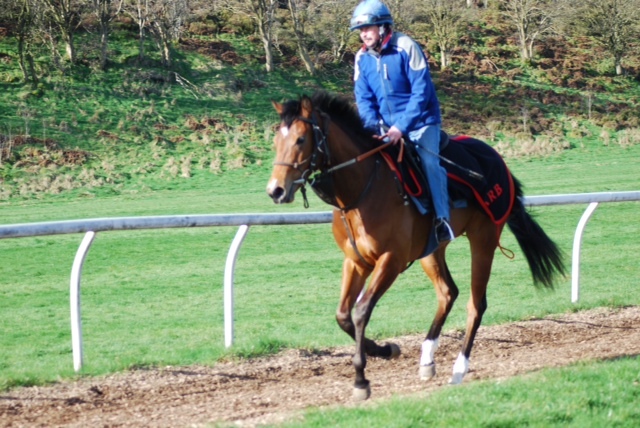 PICENO – S Dixon -WINNER LAST TIME OUT! There is something for everyone at Ontoawinner! – Ring one of us for a chat! Team Yellow & White descended onto Pontefract today to cheer on the runner up in the Ayr Silver Cup – Fast Shot was lining up in the feature race of the day with 7lb claimer Rachael Richardson on board. It was a great performance from both horse and jockey and hopefully the handicapper will leave him on a competitive mark. 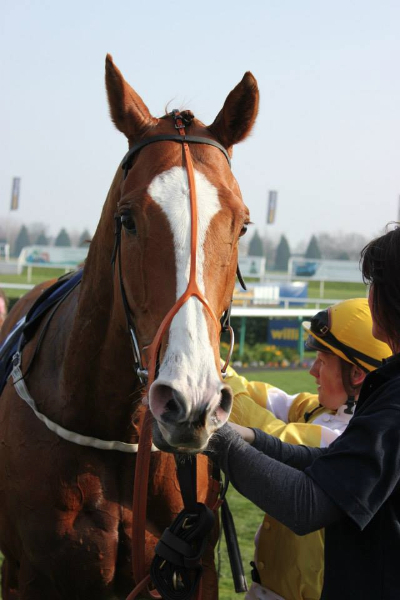 That’s winner number 8 for the year for OnToAWinner, a fantastic year to date. 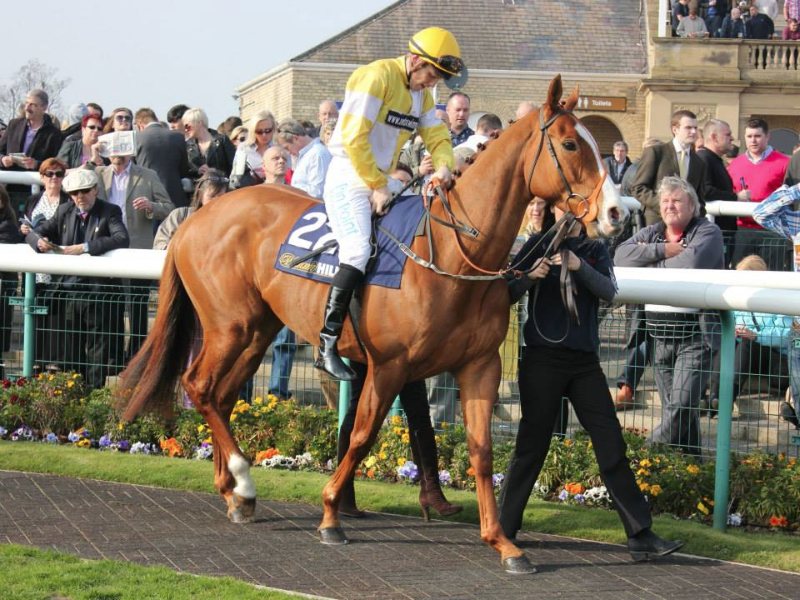 Dodina got off the mark for Ontoawinner on her third attempt at Redcar Monday. 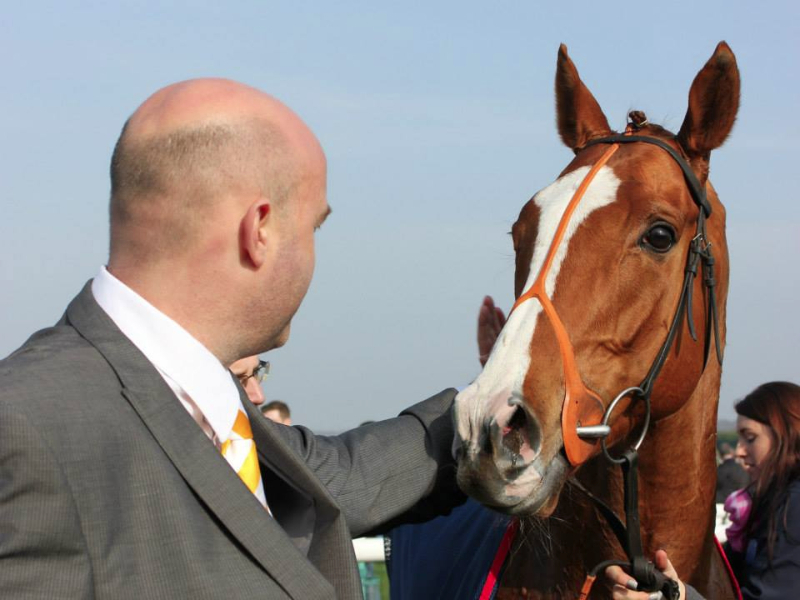 It was the Arc Syndicates 2nd winner of 2014 and our first winner with Brian Ellison. 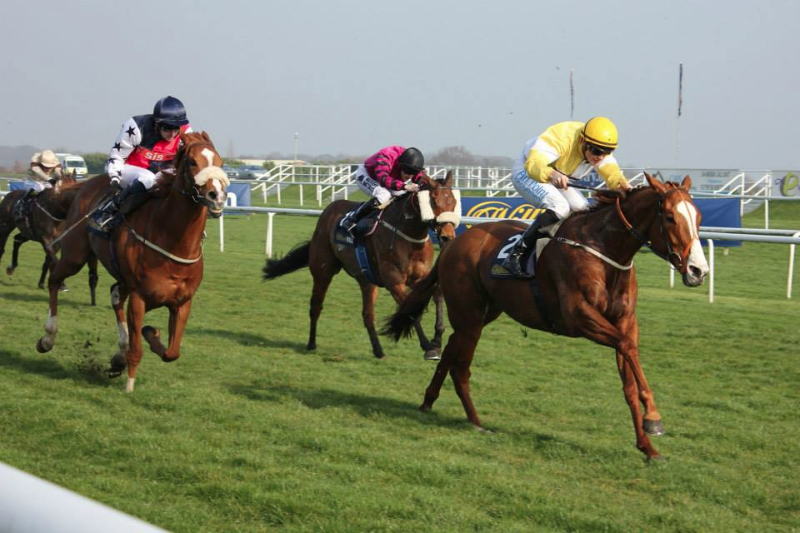 Conditions were ideal for her, with the race restricted to the winner of one. We picked the race out 2 months ago with Brian and our thoughts were well documented to our Owners. It was a penalty kick, and she despatched it with consummate ease. We’ll look for another race for her shortly. Gold Show and Blue Maisey went to Pontefract 24 hours later and both ran well. Gold Show was given a great ride by Kevin Stott and finished in the frame in this race for the 2nd year in a row, rewarding her owners and backers, having been backed in from 12/1 to 5/1. 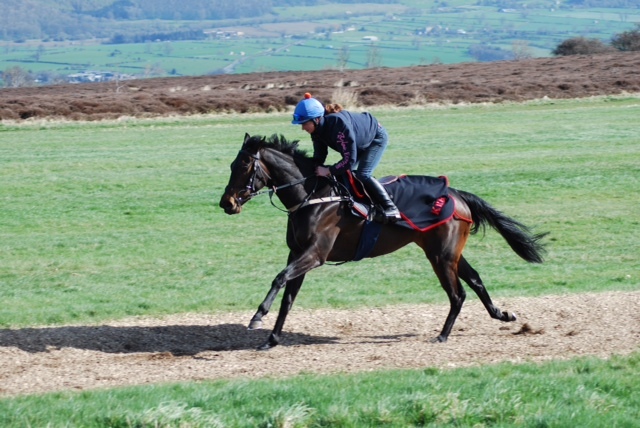 Piceno loves a bit of dig in the ground and likes Catterick so Scott Dixon elected to go here instead of Pontefract. 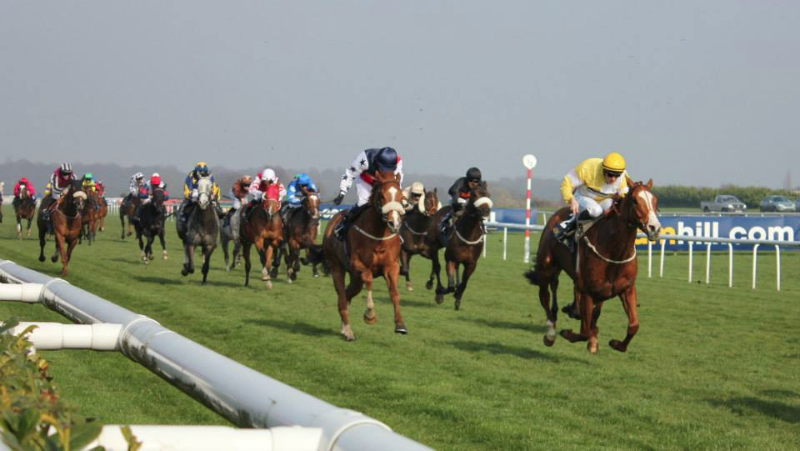 It proved a shrewd decision by the capable handler, with Piceno romping home under a peach of a ride by Matthew Hopkins, who was having his 18th winner. Piceno is a great horse to be involved with, and he registered the 3rd winner for the Arc group. They will have some season, jump aboard. If you can honestly say you haven’t enjoyed the Arc after the full season is up, we’ll be amazed. 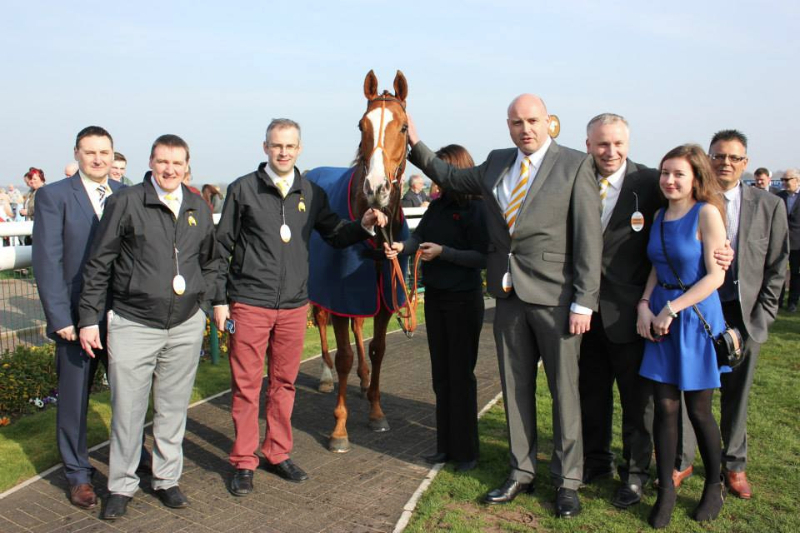 This was the very capable Ontoawinner Team’s 7th winner of 2014.